Founded in 1870, the Natural History Society is among the very oldest of Winchester College’s Societies. The arrival of Duncan Stewart, in 2003, saw the NHS acquire a new lease of life, after somewhat lean times, and become the best-supported society in the School. A full programme of termly trips was instigated, the library was restocked and equipment updated. Duncan’s enthusiasm and determination set a template for others to follow. The Society introduces Wykehamists to just a little of the fantastic wealth of wildlife in the region - the coast, the New Forest, the downs, the ancient woodlands and the wetlands. The boys are encouraged to explore the great outdoors and in so doing gain a greater understanding of the world beyond the walls of the School. Winchester plans to set up a Fellowship in the name of David and Kim Stewart’s son Duncan (G, 2003 – 08), who was tragically killed in 2008 whilst working in his gap year as a marine biologist on the west coast of Argyll. The Fellow will join the academic staff of the School and will work with the Biology, Geography, Art and other departments to engender in pupils a deeper knowledge of and respect for ecology, the environment and the natural world. This will also include the Div programme, organising lectures, practical excursions and expeditions, and it is recognised that the impact of this post will be felt well in to the future and beyond Winchester’s doors. The endowment required to fund this position is £1,000,000. The Stewarts are challenging others to join them in their aim to secure an endowment for the post. They will match any donation up to the value of £500,000, thus doubling any support the School can secure. The aim is to raise the full amount required and to recruit the new Fellow, before the Headmaster retires. We are delighted that the Stewarts will match both banked cash and pledges received. So far we have secured £956,970 from 32 donors. We are making every effort to secure the remaining £21,515. If you are a UK or USA tax payer, the simplest way to donate, tax efficiently, is online. Information on alternative ways to give can be found here. 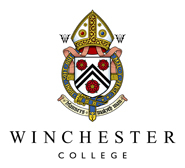 If you have any questions, please contact Winchester College Society, Development Office.